The following functions are additions to the PHP API and provide functionality needed by the SVS. They are implemented as a part of the SVS and are not part of the php_jedox_palo extension. Writes a string to the log_file. For example, this could be used for debugging purposes. Gets an exclusive lock for the server after a cell inside a critical area has been changed. Both the areaID and the sid2 are passed to the area-handling function and should not be modified and simply passed to event_lock_begin. A cell value can only be changed between event_lock_begin and event_lock_end. If used within the WatchElement method (InitDimensionWorker), instead of areaID, you can specify the constant DIMENSION_WORKER. This will also request an exclusive lock and allow you to make changes for the element in question, e.g. write data to cells of this element. Sends an error message with title of the box and the message to Jedox OLAP server that will be transferred to the client. 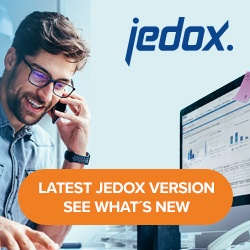 (in this case “PHP” is the client and not “Jedox Web UI”). – Currently it is not possible to use sep_error() with the OnUserAuthenticate and OnUserAuthorize events.